Leading Successful PMOs - update from Peter Taylor's workshop	Is the concept of the PMO obsolete? PMO discussion continues. I had a pleasure to meet Alan Harpham, the co-author of “The Spirit of Project Management”, during the PMI Poland Chapter Gdansk Branch seminar on the evening 17th January 2013. During the break I took an opportunity to ask Alan a few questions on Poland, Poles, project management and his book – the recording of this interview cab be found here. As I was impressed by his story I decided to read the book and share my thoughts on this with you. The book is divided to two parts. The first part of the book explains a few models for understanding the significance and value of spirituality in projects. The second part helps to integrate these ideas into our day-to-day management of projects. Thus there are chapters on spirituality from the perspective of the individual, the project team, the project organization and even project management within a sustainable world framework. 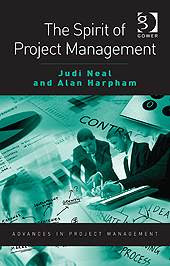 I have asked Alan why he wrote “The Spirit of Project Management”. His answer was that this book brought his two lives (being a liberal Christian, too liberal for some people as he describes himself and being in project management), his two passions into one. I’ve also asked him why we should read it “Because spirituality in work (SiW) is brining new ideas to bear. The book enables people to start to look how spirit and spirituality can help in projects and projects management. I truly believe that one of the big topic that’s is coming and people will get paid for, it’s spirituality not just only in project management, but in work and business in general. It’s a topic its time is now, just beginning and it’s fantastic. I agree and really appreciate that had an opportunity to meet Alan in person. I always knew that being a great project leader goes beyond having a good knowledge of project management tools and techniques (planning & implementation) and that emotional intelligence competencies are more important that intellectual ones. But only “a few cutting edge leaders are aware of the emerging research and application of spiritual intelligence, particularly for the emerging discipline of managing complex projects ” and thanks to Alan and his book I’m becoming one of them. “Spirituality” is most commonly defined as connection that gives meaning and purpose. And both project managers and teams want to work on meaningful projects. They are looking for that feeling that comes from creating something much bigger and greater than the self and for the benefit of others. Now I understand the success of English Camps – a charity program run by Project Management Institute Gdańsk Branch since 2004. Two times a year a group of people who believe that together can change the World devote their free time, working mainly weekends and nights for 4-5 moths or even more (those involved in a few editions) to make a difference for a group of young members of our society. We succeed as we manage to create a spirit of unity – although of diverse backgrounds and skills we really work well together as a single team to achieve a common goal – meaningful and purposeful goal both children and our growth. Spirituality in project management does not have anything to do with promoting a particular religion or with promoting religion in a more general way. “Project Spirit” is defined as the collective attitudes, emotions, norms and behavior that characterise the members of a project team. Most Project Managers are aware of the importance of soft skills. Emotional Intelligence has been seen as a key attribute of a good leader and a must for those who are responsible for building effective project teams. Spiritual Intelligence goes close with Emotional Intelligence. According to Steven Covey, Spiritual Intelligence is the central and most fundamental of all the intelligences, because it becomes the source and guidance for the others. Project, programme, and portfolio leadership is in short supply as organizations struggle to implement Agile methods, complete large projects, manage vendors, and create more value through their project management offices (PMOs). Leadership is one of the key themes throughout many of the 2013 top 10 trends for project management, which were identified by a global panel of ESI International senior executives and subject matter experts. Cindy Wigglesworth describes Spiritual intelligence as “the ability to behave with compassion and wisdom (love) while maintaining inner and outer peace regardless of the circumstances” Cindy Wigglesworth, 2004. Moreover the world is also becoming more conscious of the need for large, highly integrated, and world changing social projects. There is a growing recognition in business of the importance of a social conscience and corporate responsibility. We all know that heterogeneous groups outperform homogeneous groups. Project teams require diversity of thinking and problem solving solutions. The authors of the book have a dream of a world without borders or boundaries, both physical and mental and I that”s my dream too. According to Posner studies, communication skills – listening, persuading, are number one on the list of skills needed to be a successful project manager. By deep listening the authors understand the ability to hear beyond the words and facial expression – trust your intuition and have an open heart! In order to be effective, you must willing to share with the other what you think you are sensing in your deep listening. You may not always be right in your intuition, but just the fact that you are attempting to listen at deeper level will make a difference to the person you are interacting with. It is and example of spiritual connectivity. Chartered Management Institute in UK (Miller 2011) found that the attribute must sought after by the staff of their managers was authenticity. Authenticity creates trust. Commitment to something greater than oneself. We all want to work on projects that make a difference in the World. The responsibility of a Project Manager is to get best out of the team, create an environment that every person”s best talents contribute at full force. Even some people might question it I truly believe that spirituality can be achieved and I have experienced it not only working on social projects (ex. English Camps). For last 15 years I have been working in both “spirited” and “dispirited teams and know how inspiring and uplifting that can be working in the first and also understand the devastating impact (self-esteem and feelings of how we are valued by others) when working in the second ones. The studies show (Lamont 2002) that soul-friendly companies have lower absenteeism, less sickness, and lower staff turnover. This also apply for soul-friendly projects. Why spirituality in Project Management? Please find below Alan’s answers. Team members seek meaning and purpose, strong alignment to project vision in order to bring their best and go beyond what they thought possible. Read this book and grow as a leader! With a greater understanding of the role of spirituality in project management you will be able to tap into your team members passion and purpose, unleash their creativity, and help them solve difficult, seemingly insurmountable problems!